Every time I hear the song I’ve chosen for today’s Video Fridays installment, Queen‘s Somebody to Love from 1976, I’m deeply, deeply moved. 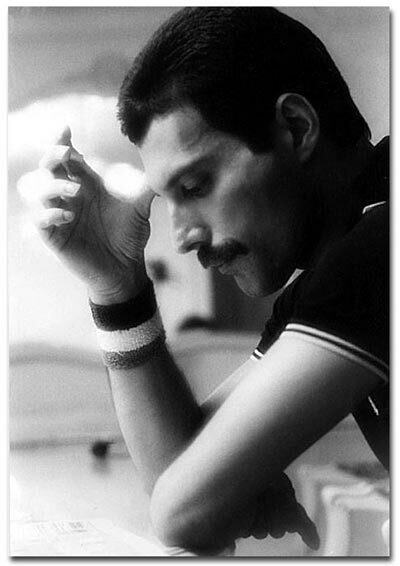 I heard it last night, and broke down, thinking about Freddie and his struggles as a gay man in a world even more hostile to homosexuals than, sadly, it is today, thinking how he tragically died at the age of 45, thinking of all the amazing music he might have continued to make if he had lived. There have been some great Rock & Roll vocalists over the years, but Freddie Mercury was in a league WAY above the rest and all his own. 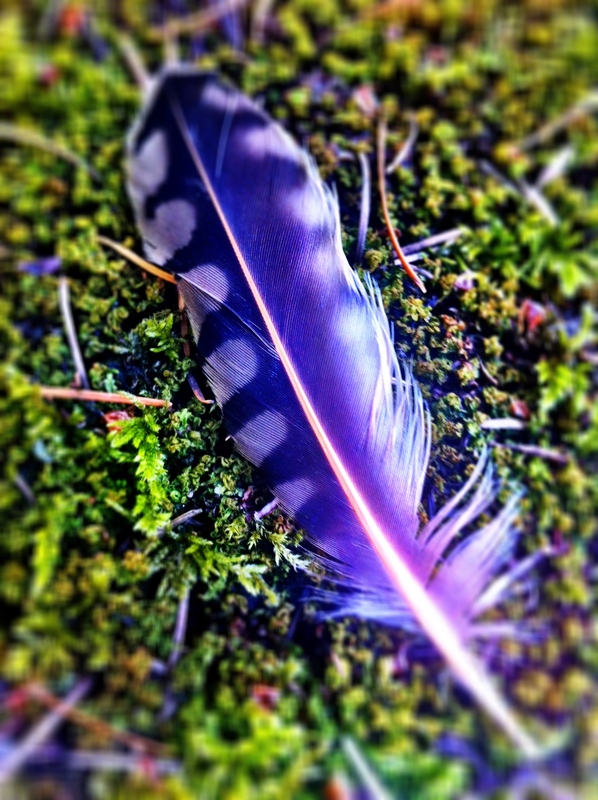 He had a self-trained, 4-octive range that could growl with intensity, soar like an eagle, or sing the sweetest falsetto, and you can hear it all in Somebody to Love. The song, heavily influenced by gospel music, is a pleading prayer, a desperate expression of desire for the healing power of love. There are aching lines about how hard he works, how he wants to break out of what feels like a prison cell, and I can’t help interpret this as representing his years of attempting to come to grips with his sexuality. After all, when it was released, he was still married to a woman, but had begun an affair with a man that led to the end of his marriage. It’s a truly virtuosic piece of music, and I’m gonna shut up now and let you enjoy it. In October of 2011, I wrote a post about a scene in an episode of Star Trek: The Next Generation that really freaked me out. 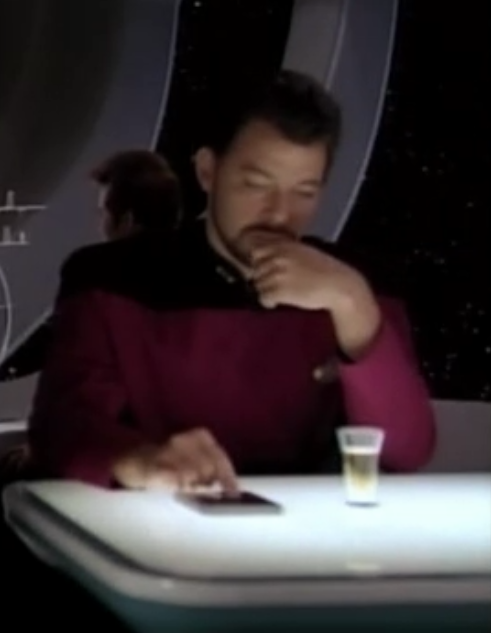 There, right before my eyes, was Commander William Riker, sitting alone at a table in Ten Forward, the Starship Enterprise bar and lounge, he’s sipping on a shot of the hard stuff, and he’s staring down at a tiny device on the table, poking at it with his finger, reading and stroking his beard. It freaked me out, because that’s what I look like every single day at lunch in the dining hall on the campus where I work, using an iPhone 4 that came out in June 2010, while that episode of Star Trek was broadcast 22 years earlier. 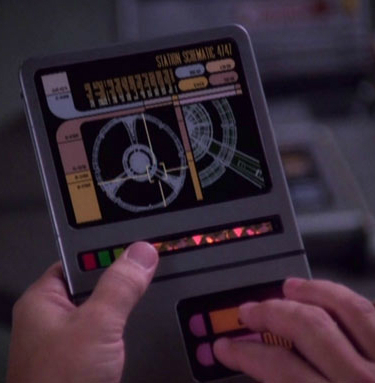 Anyway, as I mentioned in my original post on this subject, all you have to do is Google “Star Trek + Apple” to see that, for years, there’s been extensive discussion on the similarities between Star Trek props and Apple iPhones and iPads, and today I’ve come across a new addition in The Atlantic. The article makes the case that a Star Trek device called simply PADD actually proves that a device larger than the iPhone but smaller than the iPad is really the ideal size for a tablet, the latest in a growing number of arguments that Apple really should release a 7-inch iPad Mini. Personally, I don’t own an iPad and a tablet hasn’t really appealed to me, because I have my iPhone, which is awesome for doing everything I need/want to do in terms of mobile communication and entertainment. So, I don’t have a horse in this race. I would just like to take this opportunity, as I did in October 2011, to remind all of these folks making the Apple-StarTrek comparisons, that the very first iPad was actually envisioned 20 years before Star Trek, by Stanley Kubrick in his 1969 classic 2001: A Space Odyssey. I can go days and days scanning the news headlines and only come away from the exercise depressed as hell. But, every once in a while I see a headline and a story like this and I feel incredibly grateful for something so refreshingly heartwarming. 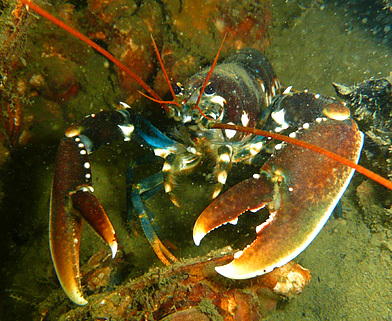 WATERFORD, Conn. — A Connecticut man purchased a 17-pound lobster at a Waterford restaurant, then released the crustacean back into Long Island Sound. Don MacKenzie of Niantic tells The Day of New London ( http://bit.ly/MGvGHb) he knew the lobster, nicknamed “Lucky Larry” by local children, would have to be about 80-years-old to reach his current size and felt it deserved to live. MacKenzie won’t say how much he paid The Dock restaurant to take Larry off the menu. MacKenzie received a send-off from a group of children chanting “Let Larry Live” and the lobster was given a salute from the Niantic River Bridge operator who sounded the lift bridge’s siren as the boat carrying it headed back to sea.